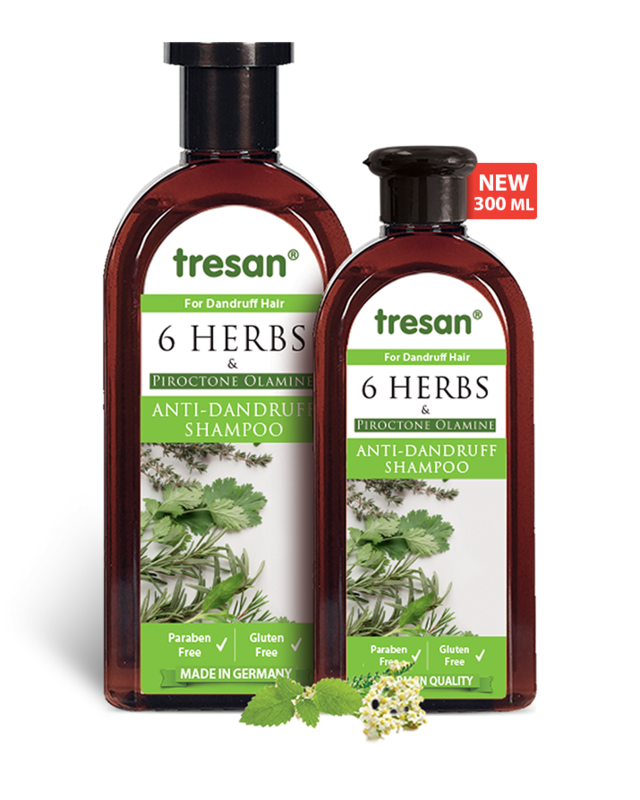 Tresan 6 Herbs Anti-Dandruff Shampoo contains herbal extracts including chamomile, valerian, yarrow, hops, bee balm and fennel. Enriched with 0.3% piroctone olamine. 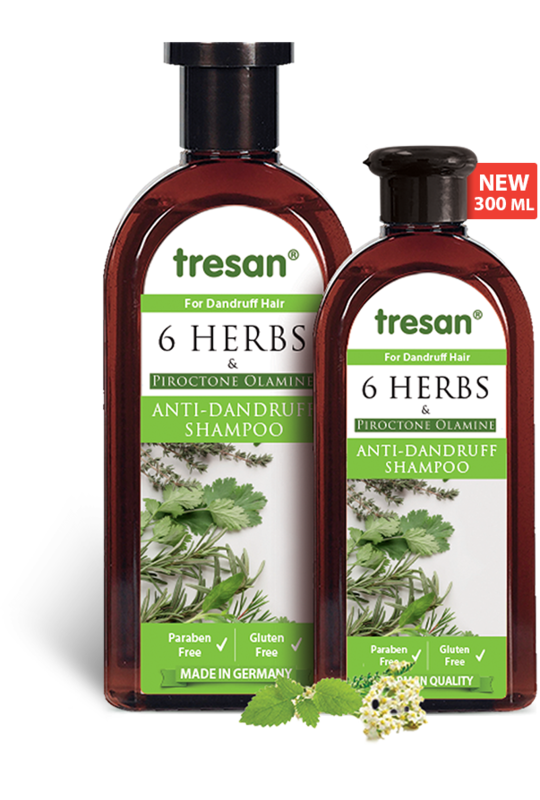 When used regularly, it stabilizes fat content of the scalp and helps prevent dandruff. Gives a vibrant and smooth look to the hair. Suitable for daily use. pH skin friendly. Directions: Apply shampoo to wet hair and gently massage. For best results, allow the shampoo on the hair for 2 minutes. Rinse thoroughly.